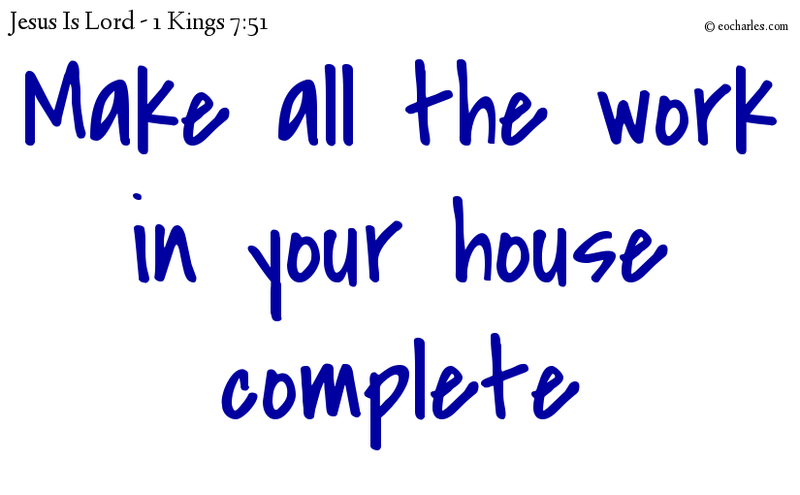 So all the work King Solomon had done in the house of the Lord was complete. Then Solomon took the holy things which David his father had given, the silver and the gold and all the vessels, and put them in the store-houses of the house of the Lord. 1)1Co 3:16 Do you not see that you are God’s holy house, and that the Spirit of God has his place in you? 1Co 3:17 If anyone makes the house of God unclean, God will put an end to him; for the house of God is holy, and you are his house. 1Co 6:20 For a payment has been made for you: let God be honoured in your body. 1. ↑ 1Co 3:16 Do you not see that you are God’s holy house, and that the Spirit of God has his place in you?